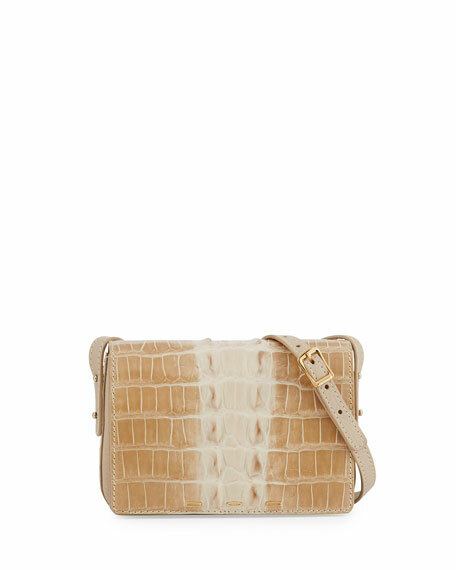 VBH horned crocodile crossbody bag with leather trim. 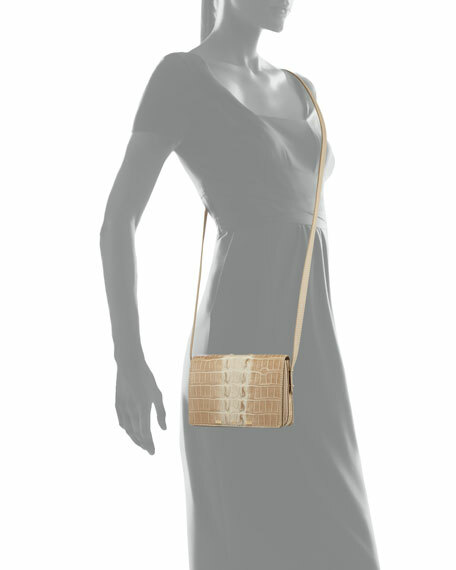 Removable, adjustable flat shoulder strap, 23" drop. Flap top with magnetic closure and signature hardware. 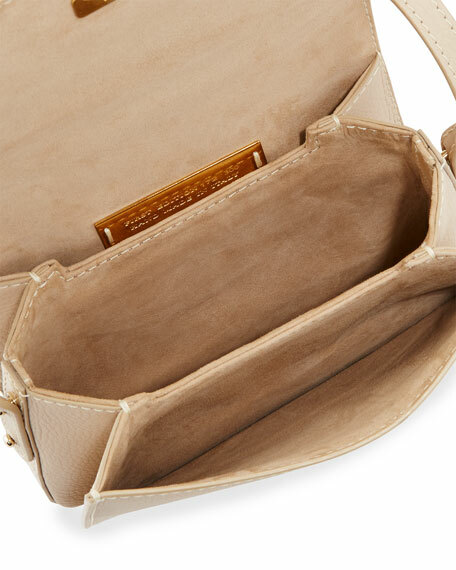 Interior, suede lining; three open compartments. 4.7"H x 7.1"W x 2.4"D.
"Pulce" is made in Italy. For in-store inquiries, use sku #2129047.